Blogging can be a headache. When you feel that all the things you need to do to run your blog take up a ton of time, it may be challenging to start. Yes, some of the bigger tasks like writing a blog post or taking blog pictures can take up a good chunk of time. 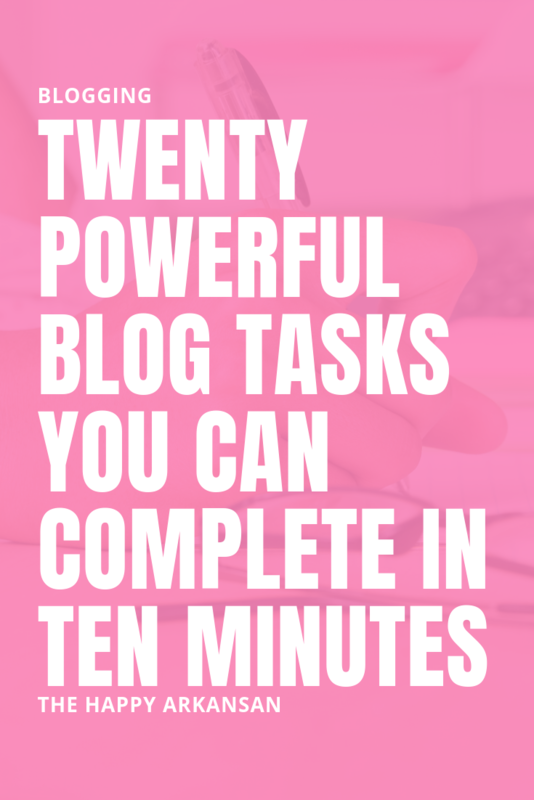 Many blog tasks can be completed in (or heavily started) in just ten minutes. 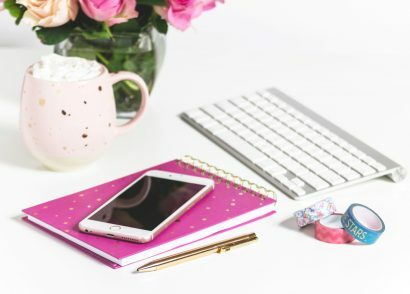 Who doesn’t have a few minutes throughout the day to work on their blog a bit? When you do a ten-minute task, it should only be done for ten minutes. So, set a timer on your phone or computer once you are ready to work. Work as hard as you can for those ten minutes. When I am feeling unproductive, I work in these small spurts to get excited about working on my blog. Shut down all your other tabs and stay as focused as possible while you are doing these ten-minute tasks. Brainstorming is one of my favorite things to do if I only have ten minutes. It’s so easy to grab a sheet of paper, set a timer, and think of as many blog post ideas as you can think of. Don’t think while you are brainstorming, don’t erase, write. If you repeat a thought or misspell a word, your brainstorm will still be just fine. You are not brainstorming for the public. You are brainstorming for yourself, so you don’t have to be proper or perfect. Once you have finished your brainstorm date it and go back to it when you need a little bit of inspiration. 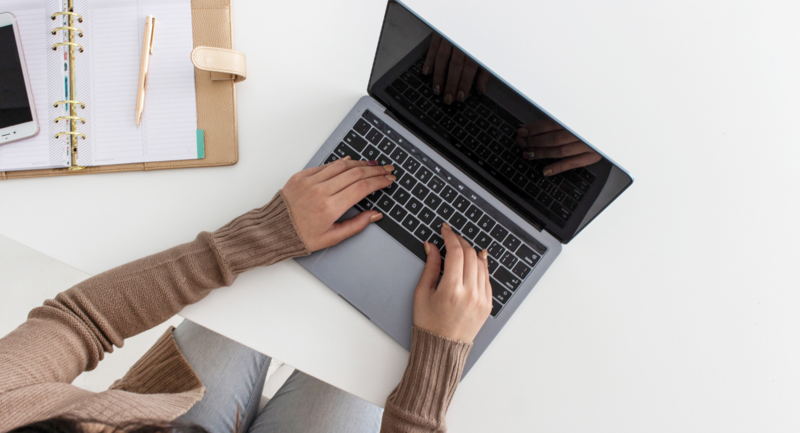 The outline of your post can be the backbone of your work as a blogger. Once you have a meaty outline, the rest of the writing process is simple. All you need to do is fill in the spots that you have created. If you have ten minutes, expand on a post idea from one of your earlier brainstorms. Turn that idea into a working outline. Creating an outline can be as simple as creating a list of the X things you want to discuss in the post. If you want more information later, your sketch can be more intricate and feature more exact language that you want to touch on or stories you want to tell in your post. Most of my outlines are extremely simple and involve me writing down all the headings that I want to have in my post. There are more intricate ways of outlining such as using one of my favorite apps Lighten to make a mind map so that you can visualize your blog a little better. Outlining can take all forms. It just depends on how much knowledge you have about a topic before you start the process. Most people cannot finish a blog post in ten minutes. You can get a pretty significant head start on a blog, though. Often before I finally get in bed, I will be struck with a genius blogging idea. Sometimes these ideas will hit so hard that I can’t go to bed without at least writing a portion of them. So I will open up a Google Doc, set a timer for 10 minutes, and let myself write freely on that idea. After those ten minutes are up, I force myself to close my laptop and go to bed. If you are writing with a deadline, you can often get a lot done. I have done this task multiple times. Often I will end the ten-minute blog binge session with over 500 words of an article written. This draft is called a rough draft for a reason, but when most of my content is around 1,000 words, 500+ words is a great start to a blog post. 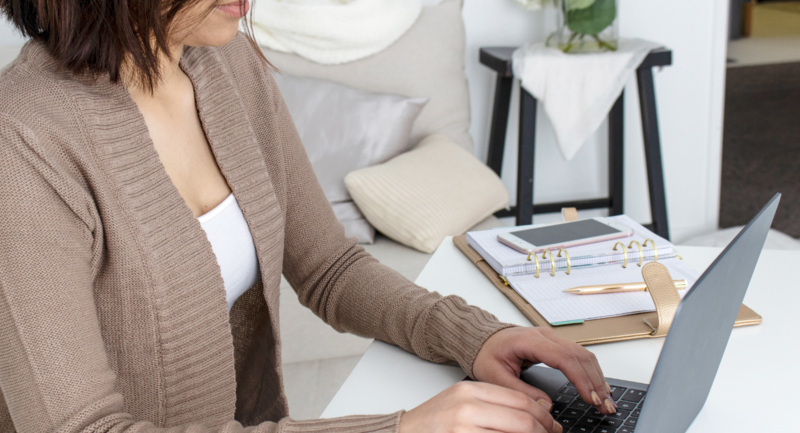 The next time you get an idea for a blog post that you can’t completely write with the time you have, consider taking time to write a rough draft of the post. You can always go back later when you have more time to write the rest. If your inbox is anything like mine, it’s a beast you don’t always want to tame. Even if you can only go in to manage it for ten minutes, that can often be beneficial for your future sanity. Have a system in place or an idea of the kind of emails you want to tackle. Do you want to respond to clients or people asking you to participate in sponsored post opportunities? Have a goal in mind for what you need to answer before you step foot in your inbox. Set your timer and try to get through as many emails as you can during that period. Emails often get out of control because we don’t take the time to manage our inbox throughout the day. Even giving your inbox ten minutes of attention can transform your inbox from zero to hero. This task takes some dedication, but you have my utmost confidence. If you only have ten minutes, I encourage that you take some time to schedule out things on your social media calendar. One of my favorite things to do if I have just ten minutes is to check out the new content in the Tailwind Tribes that I am a part of. If you are not in any Tailwind Tribes, you could also go through Pinterest group boards as well. Don’t stop at Pinterest. Use sites like Tailwind and Pinterest to your advantage and cut down your social media scheduling time. Schedule those articles you see on Pinterest to other social media networks like Facebook and Twitter. As long as you mix up your schedule a little, there is a huge chance that people who see your update on Facebook may never see your tweet or Pinterest pin. It’s incredibly likely that they won’t because most of your followers won’t see all your social media updates. Many of your followers don’t follow you on multiple platforms. Do you have ten minutes to do some blog tasks? Respond to blog or social media comments for ten minutes. People want to hear back from you if they take the time to leave a comment. Take a few minutes from your day to respond to the comments on your blog or the comments on your social media accounts. You don’t have to answer as soon as you get them (people realize that you have a life outside of social media.) Instead, utilize those few ten-minute blocks of time where you are not sure what to do, and write up some blog comment or social media replies. Replying to comments is a straightforward task that can create a great community with your readers. In the same vein, if your blog or social media posts are looking a little dry, take a few minutes each day to interact with other blogs or social media accounts. Comment on their posts and if you want to go crazy respond to their CTAs (call-to-actions.) If they ask their readers to tell them about their favorite dessert, don’t comment about how pretty the cake they featured looks. Instead, use the prompt they give, so it looks like you 1. Read the posts and 2. Want to form a relationship because of that. It’s so easy to look like a bot when you comment. Instead of commenting on 20 posts “great job” take the time to write five personalized comments on a few pictures. 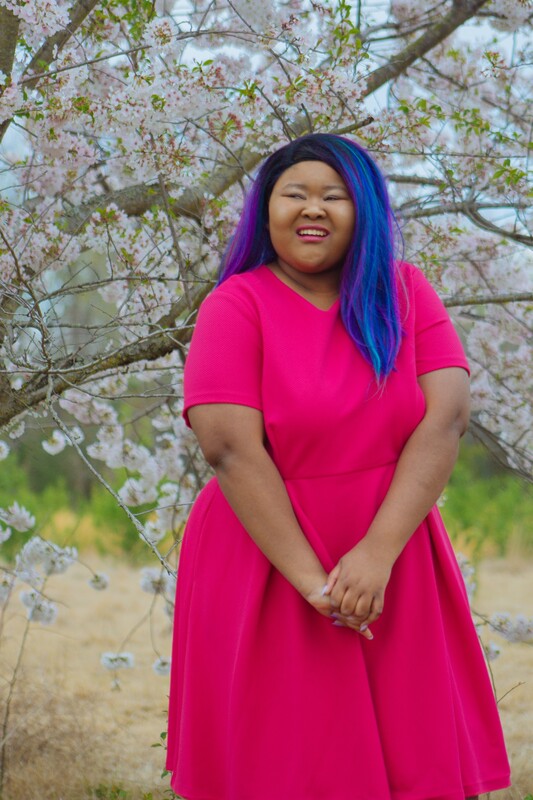 In the blogging world, it is better to make five super personal connections than 20 superficial connections. Many bloggers may decide to block your account from interacting with them after your spammy comments anyway. You are filled with a ton of knowledge about things in your niche. If you have ten minutes, take some time to scroll through a popular Facebook group that you are a part of and give some great answers to a few of the posts with zero or very few comments. In more prominent groups people want to engage, but sometimes it feels like their questions or comments get lost in a sea of a million posts. Take some time to make a user’s day by answering their question and sharing your knowledge. Be sure that your blog is easily accessible from your page just in case that person decides to head over to your blog after they get your fantastic advice. Also, if you have a blog post that is pertinent to their struggles, don’t forget to link your post so that they can quickly check out your blog for more information. Linking relevant content is perfectly fine in most Facebook groups. Video marketing is so important today as it humanizes your brand and allows your followers to see you in a less scripted way. If you have a few minutes, hop on Instagram Stories or Snapchat to record a story for your followers. Ten minutes is plenty of time to record a decent story. You could share a tip for your readers or just rant about something that happened to you that day. If you feel comfortable, you could even take those ten minutes to hop on Instagram Live, Facebook Live, or whatever floats your boat. Make sure your followers know you only have about ten minutes to chat, and then talk for those ten minutes. Once you are done, you can even save your recording so you can repurpose that content for later. Double Yay! Make a to-do list. 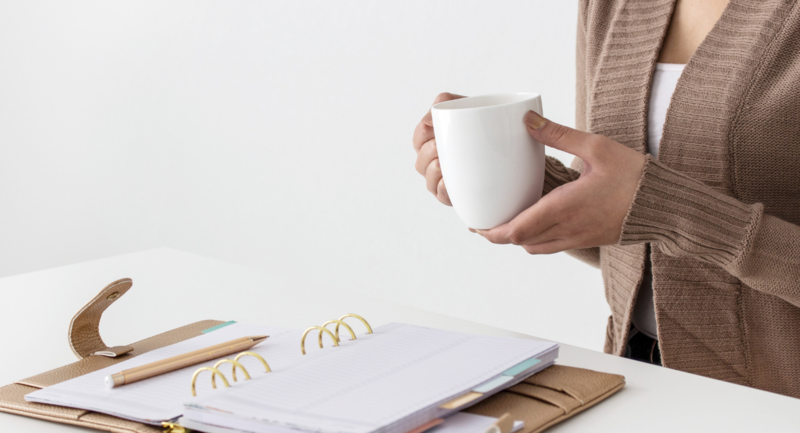 A great to-do list in the morning or at night for the next day can help you create a great routine and keep you accountable for the tasks you need to complete. Take some time to organize and write out ten tasks that you need to finish within the day or the week. Sitting down and writing down these tasks will make you feel more secure. You’ll be ready to tackle the rest of the day because you know that you have everything you need to do written down. If you have a good handle on your social media scheme creating blog and social media graphics for upcoming posts should take no time at all. You should try to get to a place with your blog where all of your blog and social media graphics look similar. It’s okay to experiment for a while, but you shouldn’t always be in an experimental phase. When you get to the place where all of your social media graphics look similar, it will save you so much time. 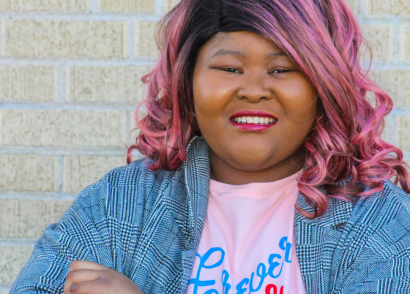 I currently use Canva For Work, so all of my images are saved on Canva along with my color palette for The Happy Arkansan. It’s so easy for me to pop over to Canva, open up the file for The Happy Arkansan, change out the picture, color, and text and be done. Voila! In less than ten minutes I have some fantastic blog graphics that I can use on the blog. Your goal should be to simplify your graphics creation so that you can easily create every social media and blog graphic. You should be able to create beautiful and unique graphics for your blog without taking a long time once you are clear about how you want your images to look. If you are serious about affiliate marketing as a monetization strategy, you should try to join some great programs that you know will resonate with your audience. The first time you apply for an affiliate program will be the hardest. If you apply to affiliate programs through a place like ShareASale, you can cut down your affiliate program application time by a ton. Once you get a ShareASale account and answer all their questions, they store that information. This makes it a million times easier to apply for future ShareASale programs. Most likely if you apply while logged into your ShareASale account, you will only have to answer a couple of questions. Take a few minutes to sort through affiliate programs or go to one of your favorite websites to see if they have an affiliate program (so many places do nowadays.) Fill out the application and wait to be accepted. Affiliate programs can be an excellent source of income when you don’t have your own products to sell. Consider joining affiliate programs for fashion brands, course creators, service providers, beauty stores, or anything in between. Know that digital products by default have a higher commission rate, but they also can be priced higher too. You know your audience, and you have to use that knowledge to sell them products you stand behind that they will purchase. Head to Pinterest or Google and search for blogs on the topic. See what other blogs have said about this topic before you. See if this is something you want to pursue/what would be the proper way to pursue it. How are their blogs about the topic laid out? Other layouts will help you when you create your outline in the future. Go to Amazon and look up books about the topic. You can probably find a book about the subject. You can’t read the entire book in 10 minutes, but you can skim the first bit of the book. I don’t suggest buying the book, use Amazon’s Look Inside feature. I love this feature because you can usually read the Table of Contents and the first chapter or so without buying the book which is generally all you need if you want to do some quick research. Don’t forget to save any articles you read for later either by making a spreadsheet or by bookmarking the page. You may want to reference the material later on, use the material in the post. You may even want to add the content as an additional resource on your blog post. If working with brands is a part of your monetization strategy then you should have some brands on your dream brand collaboration list. You should also have a media kit already made and ready to go. If you don’t have a media kit already made I encourage you to check out FohrCard. They have an excellent site that can help you create a basic one pager media/press kit by connecting your social media accounts. Through a site like SocialFabric: If you are starting and you aren’t 100% comfortable with pitching a brand directly, you could pitch through a site like SocialFabric. SocialFabric is excellent because they are very open with who they work with. Other places like TapInfluence, Izea, and Influence Central are excellent for sponsored posts. Use the contact form/contact email to pitch directly: If you are more comfortable pitching brands directly, you should go straight to the source to get your sponsored post opportunity. When you pitch directly, you can bypass these companies and get more of the income. Most sites that work with brands charge the brand to host their influencer search on the site which means you are getting less of the sponsorship pie that way. If you go straight to the source, you can cut out the middle man and make more money. Pitching can be difficult, but I trust that before you start this process, you are working hard to understand what the brand means to you and how you can serve that brand best. Reply to their Instagram or Snapchat story. Comment on their social media posts. Share a photo from their page on Instagram. By interacting with the brand before you pitch, you are building relationships with various brands. If you can get the brand to know, like, and trust your brand, you are well on your way to starting an excellent relationship. After you build that relationship, you can follow up later with an actual pitch when you have ten minutes in the future. I know what you are thinking, creating an e-book is kinda impossible in ten minutes. It can be if you are working from scratch. Beacon is one of my favorite tools for creating e-books at the moment. They make it ridiculously easy to create e-books from past content, especially if you are on WordPress with their plug-in. Even if you aren’t on WordPress, you can create beautiful e-books on their platform by copy/pasting a recent or older post. Beacon is incredible, and it even has a free option. For less Beacon branding you can pay for a higher plan. I didn’t mind the branding and didn’t want another fee added to the top of running my blogs, so I kept the free plan. Beacon is incredibly easy to use and can help you turn those old blog posts into fun e-books that you can use as lead magnets. PDFs are extremely valuable because they allow you to take the reading experience off the internet and onto devices like iPads and other mobile devices. If you have a couple of posts, especially ones in a series I highly recommend that you check Beacon out. 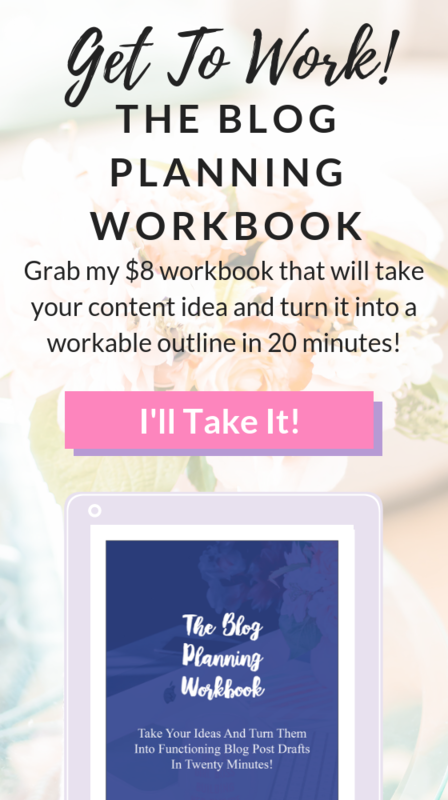 You could be bundling those posts into an e-book, creating a landing page, and getting tons of great subscribers from that content. Alternatively, you can use a site like Google Drive along with Canva to make your e-book cover if you want an even simpler interface to create your e-book. So, you only have ten minutes, eh? One of the best things you can do during those ten minutes is promoting your recent (or even a past) post. Let me tell you why. It’s easy! It’s so important to try out different content promotion techniques, and then double down on what works until it doesn’t work any longer. Posts to all my Tailwind Tribes. Blogs to all of my Pinterest boards and group boards. Posts to Facebook Group promotion threads or Facebook Group walls if they allow it. 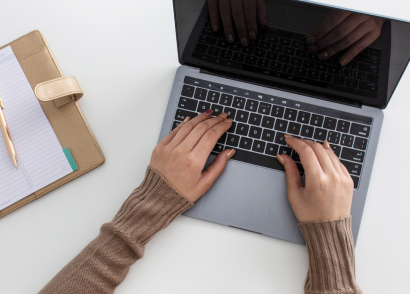 One of my favorite posts about content promotion is How To Promote Your Blog With 107 Content Promotion Tactics on the CoSchedule blog. This post is so helpful and filled with fantastic blog promotion techniques so if you are stuck on what to try to promote your blog this post can be beneficial. Depending on the type of blogger you are, you may have to order things frequently. For example, if you are a book blogger, you may want to order a new book to read. If you are a fashion blogger, you may want to order a new basic top to wear with your outfits. You don’t want to spend every waking free 10 minutes you have ordering stuff, but it’s also an essential part of being a blogger depending on the type of blogger that you are. When you are purchasing anything from props to clothes to books, really take into consideration what you are buying. Maybe take ten minutes to browse Amazon and add things to your wish list. Take time to think items through and if you are still dying to buy that book or that top, buy it in a few days when you have another ten-minute block of time to spare. First things first, I must say DO NOT BECOME A CONSTANT ANALYTICS CHECKER. Checking your analytics can become a full-time job if you let it. You don’t want this to be your default task when you have an extra ten minutes. Checking your analytics can be extremely beneficial if you let it be. It can be a way to make sure you are on track with your goals, a way to see how you can better improve blog performance, etc. How you choose to use your analytics is up to you. I wouldn’t make checking your analytics a daily phenomenon if you can help it. If you have yet to install Google Analytics on your site, I encourage that you do. The analytics provided by Google are super helpful, and it’s always good to have a second opinion versus the analytics you may get on WordPress, Squarespace, or Blogger. Take the time to install your code so you can get access to the treasure trove of information that Google can provide. Take ten minutes every blue moon to dive deep and understand what Google is telling you. Catching up on the news is one of my favorite ways to spend ten minutes. If you have yet to set up Google Alerts, go to the website and set up some alerts on keywords for your blog’s category. Google Alerts is fantastic because it pulls from tons of new sources like blogs and news websites. This is awesome because it rolls up all of that information and sends it to you daily. When you have some time, I encourage that you look through all of those Google Alert emails and read the stories they provide. Current news can be great information for what you write on your blog. You can also use current news to publish on LinkedIn, tweet about on Twitter, etc. There are other ways to catch up on the news from a simple Google search when you need news about a topic to merely browsing social media for influencers in your niche. What are other people discussing? Either way it goes, taking the time to stay up to date on all the news in your blog’s category is essential. You want to stay hip to current conversations and provide insight for your readers on those topics. Ten minutes can seem like such a short period, but honestly, there are so many things that you can do with just ten minutes. Don’t be afraid of the thought of ten minutes. Understand that there are so many tasks that you can accomplish within that time frame. The biggest thing to understand is, don’t spend so much time wallowing that you only have ten minutes that you run out of time. Ten minutes to work on a blogging task is better than no minutes so sit down, pick a job, and tackle it.